Supreme Cleaning (Kent) Ltd are specialists in the provision of commercial floor and carpet cleaning services to commercial properties across Sevenoaks. Some of the many properties and facilities we regularly provide with our professional and reliable cleaning services include businesses, factories, sports clubs, schools and entertainment venues. We have a team of highly trained and experienced professionals on board who offer an outstanding cleaning service every time and we are fully insured and reference checked, guaranteeing a competent and consistent service for every client we work for. We include a service level agreement that ensures 100% reliability from the work we do and we are fully dedicated to making sure employees and colleagues are operating in an environment that is clean and healthy. As experienced specialists in commercial carpet cleaning, our dedicated service is designed to revive your carpets, ensuring their longevity and getting rid of your need for any new carpets. Supreme Cleaning also provides a stain protection application service designed to further extend the lifetime of your carpets. Where hardwood floors or other flooring styles are concerned, commercial floor cleaning services in Sevenoaks don’t come better than Supreme Cleaning. We can assist in cleaning floors of all types, including stone flooring, vinyl flooring, laminate flooring and much more. Whether you need your floors washed, buffed or steam cleaned, we can help. Supreme Cleaning provides a specialist interior and exterior commercial window cleaning service for businesses in Sevenoaks. First impressions are important, which is why we use only professional reach and wash systems to give your windows a dazzling shine, every time. Our comprehensive cleaning services in Sevenoaks are available to many different types of industries and businesses, with one of our many priorities being to clean the windows, floors and carpets (where necessary) of lifts, cloakrooms, meeting rooms and offices thoroughly to ensure a positive first impression is made with your customers and visitors. 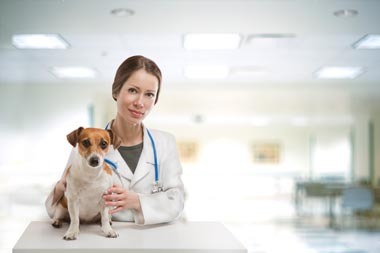 Veterinary Cleaning Services – Practice managers at veterinary surgeries have relied heavily on our assistance to ensure every aspect of hygiene and the potential spread of harmful bacteria in the surgery is dealt with accordingly. We make the most of the very latest, toxic-free and highly effective cleaning products and solutions to prevent the spread of bacteria at veterinary surgeries so that the entire facility is kept as clean as possible. Commercial Cleaning for Sporting and Social Venues – We also provide our daily contract cleaning services for Masonic lodges, golf clubs, concert halls and numerous other sporting and social venues. We understand the importance of keeping any premises clean so that a positive impression is made on newcomers and regular visitors alike. 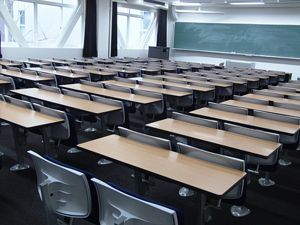 Daily Contract Cleaning in Schools – Our daily contract cleaning services are often relied upon to keep both private and state schools in Sevenoaks in the best possible condition and fully prepared for the next working day. We are a leading provider of daily contract cleaning services in Sevenoaks and the rest of the South East and work vigorously towards creating a healthy indoor environment for children to work safely. For a free no-obligation quotation from us regarding daily commercial window cleaning services in Sevenoaks or for professional commercial floor cleaning services in Sevenoaks and further afield, get in touch with us today. Simply fill out the form provided on this page or call us directly on 01322 384500 and speak to our friendly team. We look forward to hearing from you.